Hello dear fellow poets, my name is Xenia Tran and I am delighted to host Haibun Monday for you tonight. The poetry of Kobayashi Issa (1763-1828) has been translated and interpreted, praised and dismissed by a variety of scholars both in Japan and abroad. David G Lanoue shows Issa’s work through the lens of Pure Land Buddhism, the sect to which Issa belonged. This sect advocates compassion and self-sacrifice for the sake of others, a theme which runs through many of Issa’s haiku. These stone Buddhas endure the cold rain ‘for the sake of the people’. In an interesting twist, Issa feels sympathy for the Sympathiser, compassion for the Compassionate One. The Buddhas appear dejected and forlorn in the icy drizzle, but Issa stops to notice them and by writing his poems, makes the reader notice too. The icicle dangling from the tip of Buddha’s nose raises a chuckle, but the compassion of Buddha for the world and Issa for the Buddha should not be missed, or else one misses the poem’s deeper resonance. For tonight’s haibun, please show us or allude in your writing to compassion or self-sacrifice without using these actual words. For those of you who are not familiar with the form, haibun consists of one or two short paragraphs of prose inspired by a real experience, resonant with a sense of place and nature’s moods, followed by a haiku. Keep you prose paragraph brief (150 words maximum) and your language simple. Please include the natural world and reference to a season in your haiku. If you are new to dVerse, please write and post your haibun on your own blog or web page. Copy the URL of your published post to Mr Linky below and swing by your fellow poets to read and comment. The link will stay open all week, so feel free to take your time. Thank you for hosting, Xenia! Great prompt. It is good to keep compassion on one’s mind. It is … compassion is hard to leave behind I think. HI Xenia! It’s a pleasure to welcome you as a host. 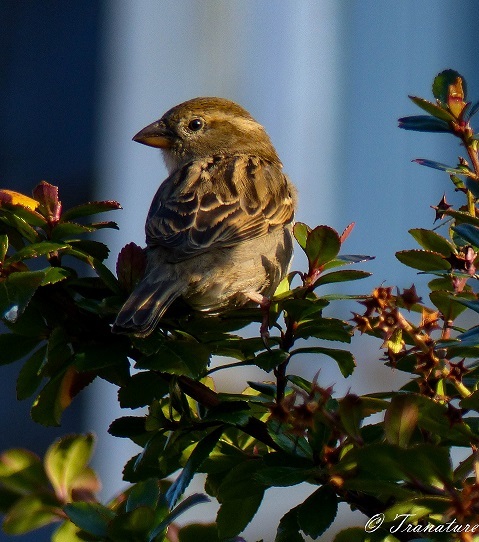 I love your prompt and the photograph – how do you get close-ups of birds? They always fly away when I try to get a shot! I’d love a mango-based smoothie, if you have one, please. What a lovely prompt Xenia. It is so good to see you hosting here. Your love and compassion for your world always come through your words and of course, through Eivor and Pearl. The haiku for your haibun is exceptional. I do not know If I will have time to read through all the posted haibun so I don’t like to post in that case. But your prompt is so very you and perfectly lovely. Beautiful Bird photo. Love the prompt. What a lovely prompt! Far too little compassion to go round these days. I will certainly take part, although I might not get around to it until Wednesday, but the haibun prompt is up all week, so I will read and post for sure. Confusion is a matter of choice. By making up a number of ways to see things, on gives the impression one is an expert interpreting, and that one can help others on the way understanding. Much better it is to give something to rely on, and authorize people to make a choice of agreeing or not. A challenging but meaningful prompt Xenia. It was interesting to learn more about Issa and the interpretation of the haiku you highlighted. In case any of you are interested, Sherry Marr has done a profile of me and a few of my poems on Poets United. What a beautiful prompt Xenia. It really touched me. What a beautiful prompt Zenia. I am currently coming out of a four day medicine music retreat and am ‘under the blanket’ where all that unfolds finds a safe place to land within.I have been unplugged for 6 days and so this will offer a gentle re-entry. I’ll get to posting sometime today. This is such a beautiful and moving theme for Haibun Xenia! Thank you for hosting and sharing with us with your lovely photo and examples of haiku. Marvelous prompt. Thank you for hosting! So so so late to the party. Apologies, Xenia. And now I’m about to open Poetics for today, hosting it….so I think my haibun must come on Thursday! Apologies. It is really a wonderful prompt. We’re in Washington DC for the month of May and have been out and about every day….there is so much to see here for free — all of the Smithsonian venues. This morning we went to the National Archives and saw the original Declaration of Independence, US Constitution and the Bill of Rights as well as the National Portrait Gallery. Went there especially to see the new portraits of the Obamas and they did not disappoint! All this to say….I shall get my haibun written later this week…have been catching up on reading from last Thursday too!